New Alert for Magnitude 8 Earthquake!!! As we have been saying for months, the Philippines is an extremely vulnerable country due to its geographical position and to some developmental factors, which make it difficult to cope with natural disasters. 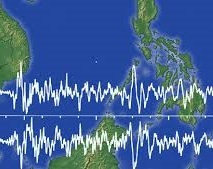 According to Renato Solidum Jr., director of the Philippine Institute of Volcanology and Seismology (PHIVOLCS), a possible major earthquake up to intensity 8 may hit the island of Luzon, where Kito-Health center is located. An intensity 8 earthquake would be “very destructive” and it may trigger tsunamis. Kito-Health is purposely made to resist such a shock and will be extremely needed and useful in the immediate aftermath for first aid operations! Also we have asked the Mayor of San Fernando to call for an urgent workshop to be hosted at Kito Health to disseminate correct disaster prevention practices and try to limit the damages and life losses as much as possible. Although earthquakes are highly unpredictable, it is important for Local Government Units to be prepared in order to implement appropriate solutions. In the last few years, LGUs has made huge progress in risk prevention and management. However, much more needs to be done: thanks to your support, Kito Onlus will continue its effort to help Filipinos to build a resilient country.